K-CET Engineering 2014 is fast approaching, scheduled for May 1, 2014 and students are worried. There is no need to panic. 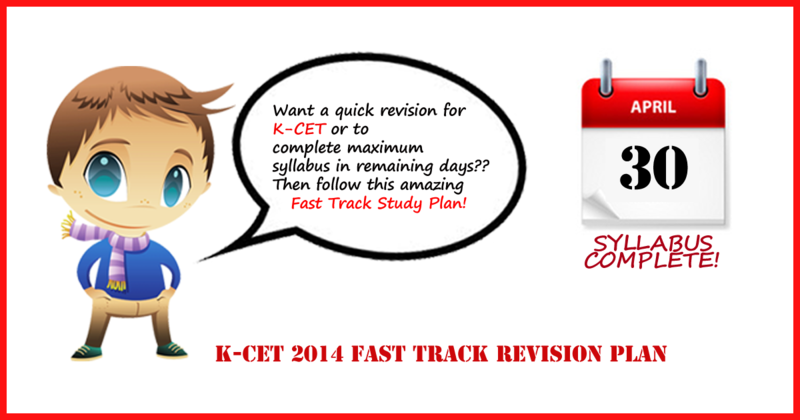 Experts at SimplyLearnt have come up with a 15 Day Special Revision Plan for K-CET Engineering 2014, to help students prepare their syllabus completely with revision in this limited time.